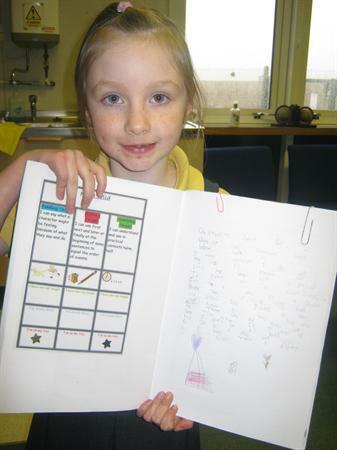 I was very impressed both with the writing itself and the pride that this girl has in her work. Well done ! You told me very clearly how you know you have made progress and are quite right you do need a star to let everybody know you have met your writing target in your work today. Great use of first and finally in your story.